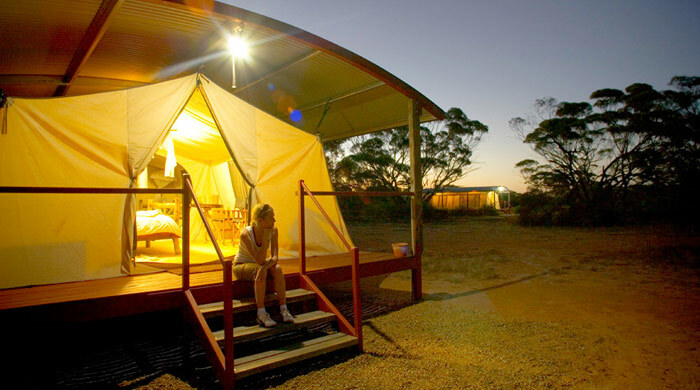 Kangaluna Camp is a series of luxury safari tents, set within the breathtaking wilderness landscapes of South Australia's Gawler Ranges. 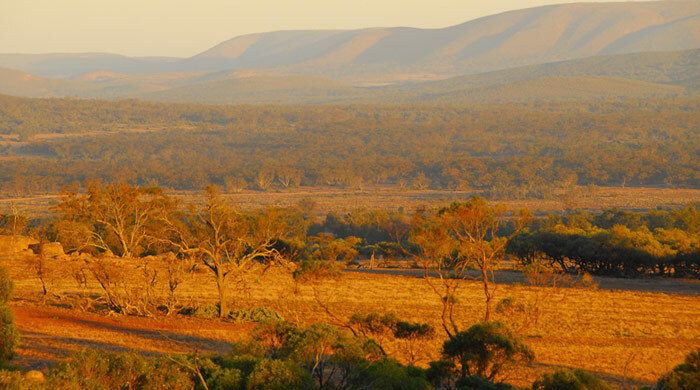 This is a place to relax and get away from it all, surrounded by the incredible nature and wildlife of the Australian outback. 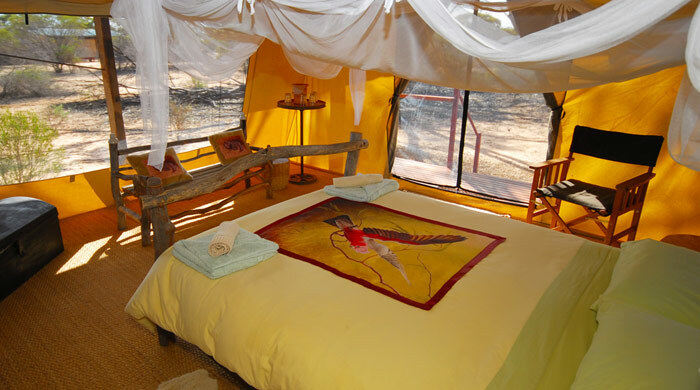 Using recycled materials in both their construction and furnishing, Kangaluna's safari-style tents are eco-friendly examples of how to make the most of the environment. 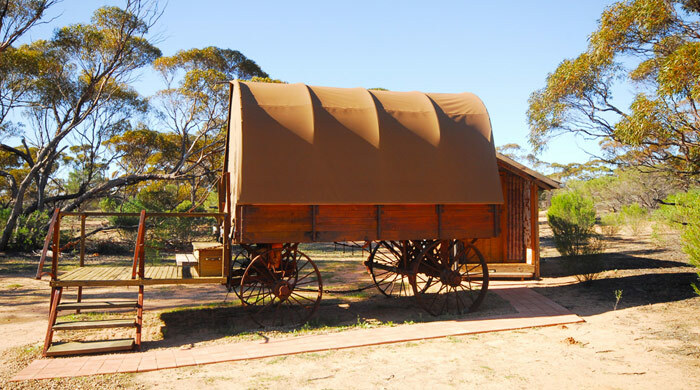 Water, for private showers and flushing toilets, is collected from the sloped roofs, and is the only water source used at the camp, while the same roofs, curved in their design, help keep the air flowing and keep the tents cool, even in the hottest conditions. 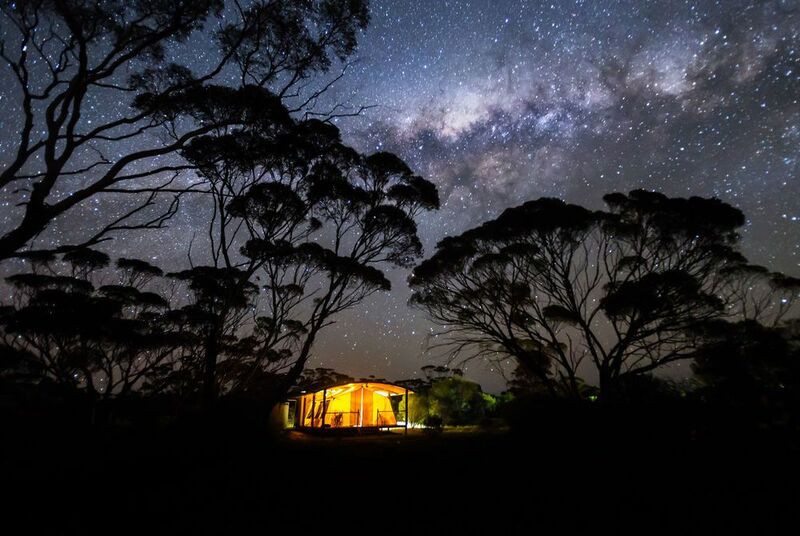 For guests who'd like a "Wild Camp" experience, the Kangaluna Swagon, a renovated farm wagon with swag bed known as "The Galaxy Suite", offers sleeps under the stars and the use of an 8 inch computer controlled telescope, perfect for gazing at the incredible night sky. 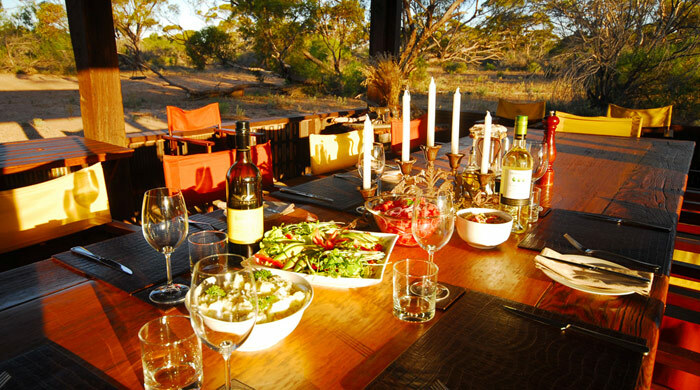 The camp has a central dining room, which is open on three sides with one closed off in case of adverse weather. 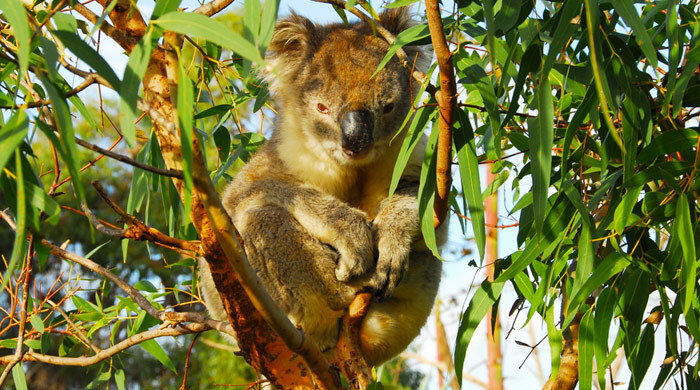 Here guests can gather round to discuss the day's adventures while enjoying Aussie barbecues and bushtucker with views across the surrounding outback. 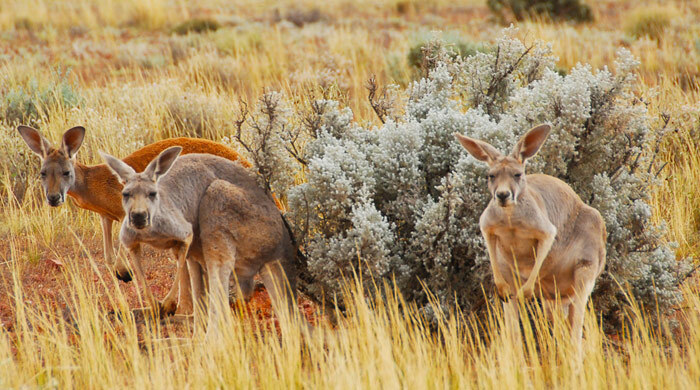 Stay at Kangaluna Camp and experience the Australian outback in its truest form. 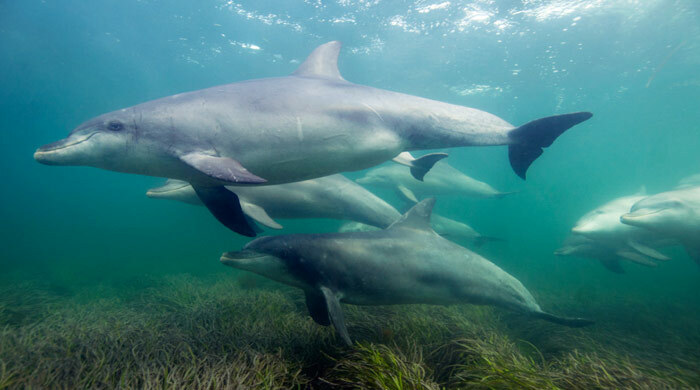 Discover the majestic landscapes of Lake Gairdner and the Yandinga Valley, marvel at the region's incredible native wildlife, including emus, koalas and kangaroos, or head to nearby Baird Bay for the chance to view sea lions in their natural habitat, and even go for a swim with dolphins of Cape Radstock.